Walden University appears in our ranking of the Top 10 Online Master’s in Accounting Degree Programs. Walden University offers a Master of Science in Finance, Bachelor of Science in Accounting, Master of Science in Accounting, and a Graduate Certificate in Managerial Accounting. The Master of Science in Finance prepares students to meet the rising demand for qualified financial professionals. The program aligns with the needs of the industry and courses are taught by experts in the field. The curriculum implements a practical approach that blends project-based learning, engaging discussions, and case studies. Students gain a comprehensive understanding of the financial field and they acquire specialized abilities needed for certification and careers in various areas, such as corporate finance, financial management, investment banking, securities, government, and other related settings. The program requires the completion of 30 credit hours and it can be finished in as little as 20 months. The core courses include Managerial Finance, Decision-Making Tools for Today’s Financial Professional, Analysis and Communication for the Financial Professional, Legal and Ethical Issues in Accounting and Finance, Tax Analysis and Decision Making, Insurance Planning, Financial Budgeting, and Forecasting Analysis, Investment Theory and Portfolio Management, and Retirement and Estate Planning. Students are able to choose from three specializations that focus on specific competencies: Certified Financial Planner, Chartered Financial Analyst, and Finance for the Professional (Self-Designed). The program prepares graduates to take the Chartered Financial Analyst, Certified Financial Planner, and Financial Industry Regulatory Authority qualification examinations. The Bachelor of Science in Accounting prepares students to enter or advance their career in the accounting field. Students have the option to expand their learning beyond the classroom by participating in field experiences, service learning projects, and study abroad programs. The program offers a General Program and concentration in Public Accountancy to help students achieve their professional and personal objectives. A total of 181 quarter credits are required to complete the program. The core courses include Fundamentals of Accounting, Introduction to Management, Financial Accounting, Business Statistics, Financial Management, Intermediate Accounting, Auditing, and Internal Controls, Accounting Information Systems, Government and Nonprofit Accounting, Managerial Accounting, and Federal Taxation. Graduates are prepared to take the Certified Public Accountant or Certified Management Accounting examinations. The Master of Science in Accounting helps students advance in the accounting field. Students learn about advanced accounting principles to assist in boosting their analytic and financial decision-making and prepare them to address the accounting challenges in today’s business world. Students are able to choose Accounting for the Professional, Accounting with CPA Emphasis, and Self Designed. A total of 30 credit hours are essential for completion of the degree program. The core courses include Business Essentials, Decision-Making Tools for Today’s Financial Professional, Analysis and Communication for the Financial Professional, Legal and Ethical Issues in Accounting and Finance, Managerial Accounting for Organizational Performance, and Current Trends in Accounting Standards. The Graduate Certificate in Managerial Accounting prepares students to effectively manage, evaluate, and communicate sophisticated financial data that impact the performance of organizations. The program focuses on the core content areas of accounting. A total of 12 credits are needed to complete the certificate program. The required courses include Decision-Making Tools for Today’s Financial Professional, Analysis and Communication for the Financial Professional, Legal and Ethical Issues in Accounting and Finance, and Managerial Accounting for Organizational Performance. Walden University is an online, private, for-profit institution of higher education with headquarters in Minneapolis, Minnesota. It was founded in 1970 with the intention of meeting the needs of adult learners. The first degrees were conferred in 1972. The university received accreditation in 1990. The school continued to expand into the 21st century, adding additional programs and colleges. Today, Walden University is home to more than 57,000 students from all 50 states and more than 150 countries. It operates on the quarter based academic calendar. Walden University is dedicated to helping students achieve their goals and the curriculum keeps abreast the current trends in the fields. Walden offers bachelor’s, master’s, and doctoral degrees and graduate certificates in a wide range of areas, such as health sciences, management, counseling, criminal justice, psychology, education, nursing, business, and information technology. The programs are offered through the College of Management and Technology, College of Health Sciences, College of Social and Behavioral Changes, Center for General Education, and Riley College of Education and Leadership. Walden University prides itself on its diversity of students, faculty, and staff that work together toward success. The Higher Learning Commission regionally accredits Walden University to grant bachelor’s, master’s, and doctoral degrees as well as graduate certificates. The accounting programs at Walden University are accredited by the Accreditation Council for Business Schools and Programs. The tuition at Walden University depends on specific programs but typically ranges from $325 to $725 per quarter hour. Walden University offers numerous options for helping students pay for their college education, including scholarships, grants, and loans. In today’s booming economy, finance and accounting professionals are essential to help companies and clients effectively manage financial aspects to ensure optimal function and success of the entity. 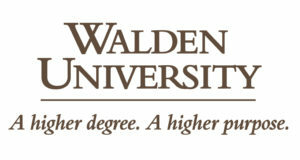 With the finance and accounting degrees offered by Walden University, students are able to begin or advance their careers in the finance and accounting fields and pursue various positions, such as financial planners, management accountants, government accountants, and public accountant, treasurer, financial analysts.